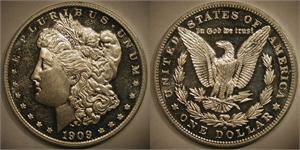 No genuine Morgan Silver Dollars were minted during 1905-1920. But imagine if the New Orleans Mint had decided to make silver dollars one last time upon the closing of that mint in 1909. This is what they would have looked like. All of these over-strikes have the micro-o reverse, with the same mint mark style, size, and orientation as that found on the scarce 1899-o micro-o Morgan Dollars, as well as the 1896-o, 1900-o, and 1902-o micro-o vintage counterfeits from the same time period. These vintage counterfeits were thought to be rare genuine US Mint products for a long time. 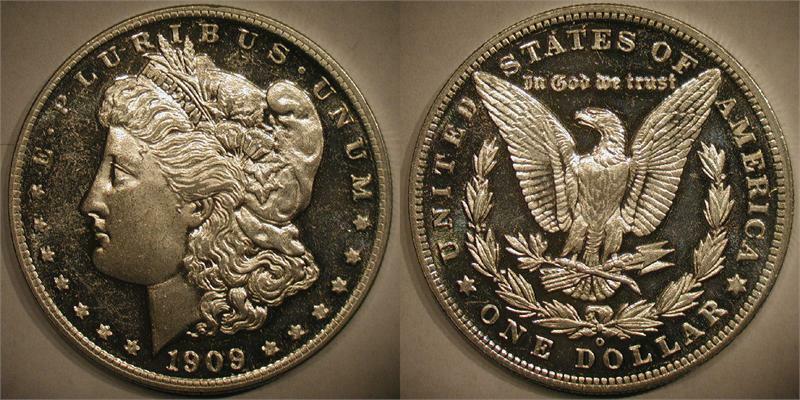 It wasn’t until 2005 that someone finally realized that some intrepid counterfeiters had taken a scarce (genuine) 1899-o micro-o Morgan Silver Dollar and used it as a model to produce fake coins dated 1896, 1900, and 1902. They likely produced the fakes prior to 1940. They were well-made and contained the full amount of silver, but the strikes were soft and the high-point details were lacking. Once circulated, they were quite convincing. At the time, the scrap silver content would have been about 35 cents. With a one dollar face value, the counterfeiters could still profit by making and spending them. Even though they are counterfeits, the 1896-o, 1900-o, and 1902-o micro-o coins command strong prices from collectors today.